Over 60 million Americans have a digestive disorder and some may not even know it. If you’ve recently been diagnosed with a digestive disorder or suspect that you’re a part of the above statistic, it can be tough to come to terms with it. Most of us just ignore. Press forward and find a new normal in our uncomfortable state. Bloating. Diarrhea. Constipation. These are just some of those uncomfortable symptoms that, at times, feel like they have no pattern at all. And to make matters worse, once you do find a pattern, it just changes on you again. What makes the situation even more frustrating and confusing is that they can all be mistaken for so many other diseases or conditions. Take bloating. This obscure symptom can be indicative of over 40 different medical conditions! (1) Who wants to sort through all of that? I’m not here to tell you to self-diagnose. We all know the rabbit hole we can go down just by visiting symptom-checker websites. However, it IS important to understand your body. Get to know what is normal and what isn’t. Why do certain foods bother you? What can you do to make it feel better? How can you prevent symptoms from taking place? And what does all of this have to do with IBS? Wow. Haven’t we all been there at one point or another? It’s easy to suspect that you could have IBS. 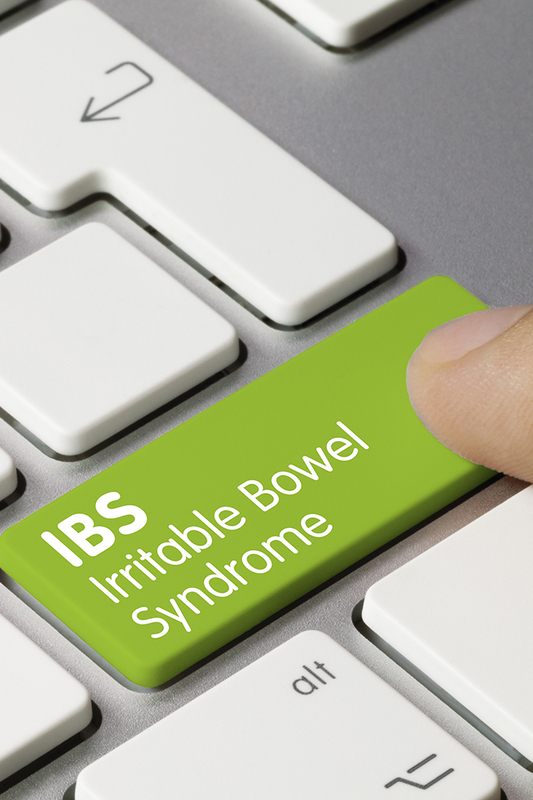 Officially, IBS affects 15.3 million people alone (2). And I think it’s important to understand why. I’ve always been curious as to the origin’s of an individual’s health or digestive issues. Don’t we owe it to ourselves to figure out exactly what’s going on? Remember that your journey is unique to you. Even though this post is meant to be a resource for various methods I’ve tried over the years and how they’ve all worked together to bring me to where I am today, it’s important to listen to your body and intuition. Of course, to rule out any serious disease, it’s important to visit your GI and get a full evaluation. I’m not taking that away from anyone. It helped me to get that initial look at what’s happening inside my body. I can only speak to my experience and what I’ve done to help manage my digestive problems – and trust me, I’ve done a lot! Just read on to see for yourself. After years of experiences crying spells over extreme painful bloating, heartburn, indigestion, and a horrid case of brain fog, I made an appointment with a Gastroenterologists, determined to solve my digestive problems once and for all. I went through a standard evaluation and got a colonoscopy and an endoscopy. Got my diagnosis and prescription. However, something didn’t feel right. I wasn’t okay with taking a pill everyday just to mask my symptoms. It just did seem very practical. I wanted answers. And I wanted them like yesterday. Naturally curious at finding solutions to everyday problems, I knew I needed to really take into account everything I was eating, the times of day I was eating, and, most importantly, my symptoms. I kept a little notebook with all of this information. Until I finally THOUGHT I figured out what I needed to do to feel better. I needed to avoid whole food groups – dairy and wheat products. Of course, this was helpful in laying the foundation for my wellness journey. It all started with knowing what was plaguing me for so long. Find a Gastroenterologist near you. Although very controversial for some, deciding to go to a naturopathic doctor is a very personal decision. It can also be the perfect way to help look at your body as a whole. I decided it was time to look into other ways to help my body heal because I wasn’t comfortable with taking perscription medication for daily digestive issues. And I’m glad I did. This is where I learned the true advantages of looking at my diet as something that is either going to promote healing or the exact opposite – disease. As a part of my time going to a naturopath, she suggested that I take many exams including a full nutrient deficiency panel. From the panels taken throughout a few years, she was able to determine what supplements or tweaks to my diet would help alleviate my symptoms. She never indicated that I could be “cured” or that my life would be back to normal if I did everything she said. She was very respectful of the process and made sure to let me know that I would more than likely always have to struggle with my digestive system, but that I could get to a place where the food I’m putting into my body is only helping the process and thus, motivating me to continue. Going to a naturopath helped me to see my body as one unit. Something that I still think about every day. Find a naturopath near you. Finding the best diet for you is ideal in formulating a strong basis for maintaining your IBS symptoms at bay. Coupled with other strategies laid out in this post and other posts out there having a balanced diet for your health needs is crucial in laying out the groundwork for a successful IBS plan. Just what does an optimal diet mean? It means finding a way to analyze what foods work best for you, what specific intolerances you have, and just formulating a plan that works perfectly for your body. I’ve mentioned this before, but it’s so important to first take an IgG and/or IgE test to see where you stand with food intolerances and allergies (3). This is important because one of the biggest and most frustrating symptoms of IBS includes bloating. What’s one of the biggest aggressors of this annoying symptom? Ingesting foods that you’re allergic or intolerant to on a consistent basis. It creates a state of chronic inflammation (4) (hence the bloating), making it feel impossible to find a solution to your IBS woes. I can’t speak to every supplement out there, but over the years, I’ve taken quite a few: magnesium, vitamin D, vitamin B complex, fiber, spirulina, liver cleanse, turmeric capsules the list can go on and on. Depending on the various health issues I was focused on at any given time, the list of supplements I was taking varied. The digestive enzymes found in a typical digestive system are extensive. Oftentimes we struggle with digesting our foods and don’t even realize that the digestive enzymes in our stomach could be the cause. Digestive enzyme supplements provide your digestive system with what it needs to help digest fats, proteins, and carbs. Your body’s natural digestive enzymes can be depleted due to so many factors including age, antacid overuse and gallbladder removal. Taken before a large meal at least once a day, these enzymes can help support a healthy digestive environment, minimizing bloat and discomfort. We all know or have heard of the power of probiotics, especially when it comes to treating digestive disorders. These guys are the bacteria and yeast that love inside your digestive tract, promoting a symbiotic environment essential to a healthy digestive system. Fun Fact: The bacteria and yeast in your digestive tract can account for up to 2.2 pounds of your total body weight! High quality probiotics are crucial in ensuring that you’re not only getting the best product for your money but reaping all those great benefits we always hear about. Prebiotics may not be as well known, but, man, are they just as important. By taking prebiotics you’re basically giving your digestive system the gift of creating probiotics on your own. So, while probiotics are important to replenishing your system with the probiotics you need, prebiotics teach your body how to create them on their own. All of which give your digestive system a real fighting chance against those nasty IBS symptoms. Learn more about probiotics and prebiotics. This amazing supplement has been so useful in helping my digestive system. Containing three key ingredients found in nature, this supplement can be taken daily but eventually doesn’t have to be. I definitely saw the difference when I took it for two months, three times a day. I used to proceed with caution when eating healthy meals like a salad or cooked vegetables only to be plagued with chronic heartburn, bloating and gas. I highly recommend this supplement if you’re suffering from chronic bloating, a common IBS or SIBO symptom. As with everything, you may not see results, but this supplement has such a high success rate. Just remember to eat a low-grain diet which works best with this supplement. The biggest foods to avoid are gluten and diary as they make your digestive system work on overload with additional inflammation and mucous the supplement would need to work past. And if you’re taking any kind of probiotic, you’ll want to stop while taking this supplement as well. Another source of inflammation? Toxins. Yup, those nasties are everywhere. But before I move ahead, I have to say that this word is thrown around so often that I’m afraid we’ve diluted the true meaning of it. A poisonous substance, especially a protein, that is produced by living cellsor organisms and is capable of causing disease when introduced into the body tissues but is often also capable of inducing neutralizing antibodies orantitoxins. That’s pretty intense, huh? And although there are tons of chemicals in our home or in the environment due to factors outside our control, we should also take a look at the toxins that we can control, primarily in our food and personal products. One of the best ways to find what’s safe and what isn’t is by checking out the Environmental Working Group’s website whenever you’re doubting a product. This amazing website is my ‘go-to’, especially now that they have a few apps to truly help you while on the go: EWG’s Healthy Living and EWG’s Food Scores. The EWG site has everything from Consumer Guides to databases filled with information on food and cosmetics. The two databases backed by EWG are called Food Scores and Skin Deep. They’re both a godsend when trying to decide what products are best for your body (in and out) it is truly a resource to come back to over and over. And as for the information you’ll discover because of it? It’ll blow your mind. Knowledge is power and the more knowledge you have the more you can do to better not only your health and wellness but your family’s as well. Regardless of what we hear in the news about the types of exercises that are best for overall health, everyone agrees that exercise is crucial in maintaining a healthy lifestyle. Providing life-giving oxygen to your body, exercise is also important in helping your digestive system. This is especially helpful if you suffer from chronic constipation (5). To be honest, I tend to struggle with making exercise a key component to my day, but whenever I go through spells of working out 3-5 times a week, my body just moves better. Everything is in it’s right place and I’m just a more well-rounded person. I’ve noticed through various types of exercise over the years my body reacted differently. In my case, I felt that as long as I was active, any type of workout helped my digestive system and decreased bloating. For about two years, yoga was my exercise of choice and it helped in alleviating some of my IBS symptoms. During that time, I learned that yoga helps the entire body. And when incorporating yoga poses into your exercise routine, you might notice that certain ones help promote a general flow of your organs and body. Poses like savasana restore and heal your body as you’re holding it for a few minutes. This article features 5 yoga poses that are great for digestion and give good insight as to how they help. There’s no research to prove or indicate that high intensity interval training or running improves IBS symptoms but due to the stressful nature of these types of exercises, it’s best to start of slow. You need something to keep in mind though. If you have IBS, you probably have a tendency to either suffer from constipation, diarrhea or both. When starting a strenuous workout plan, it’s important to keep in mind how it can affect your digestive system. For some people, these types of workouts can increase your nervous system response mechanisms, causing stomach cramping and diarrhea. So, proceed with caution. Find which exercises work best with IBS. There’s been a lot of talk lately about the brain-gut connection and that’s fascinating to me. Plagued with worry and anxiety (subconscious or not) I felt like my adrenals were constantly working on overdrive. Acupuncture is amazing for calming your nerves and giving you a moment of peace to just relax. It has definitely been a saving grace in my practice of being more mindful and present, releasing the majority of my anxiety and low energy in a better way. It also has so many other benefits. In Traditional Chinese Medicine, it’s believed that the stomach is the root of all health. If the digestive system is not in order, then nothing else can be in the body. Once you’re able to get the energy restored in your stomach, or ‘qi’ as the Chinese call it, then your body can function optimally. If all of this is in order, your body can start to work the way it was intended to, only helping the rest of your organs to operate in harmony. All in all, acupuncture is a compliment to whatever you’re doing now. You have to be actively working on other facets of your health to really get the benefits of acupuncture. Find a certified acupuncturist practitioner near you. Remember, all of the above are practices and methods I used to better my IBS symptoms. I am in no way telling you that if you do all of the above, you’ll instantly feel better. It’s important to understand what works for your body. Since I tried a variety of these methods at different times in my life, I can’t account for how stress or anxiety played a role in my overall situation as well. Regardless, I feel like everything I’ve tried over the years has gotten me to the place I’m at today. And I have nothing but gratitude for that. We’re all on our own individual path so it’s important to figure out what works best for you. Let me know how you’ve struggled with or dealt with IBS over the years in the comments below! Read my health disclaimer here.